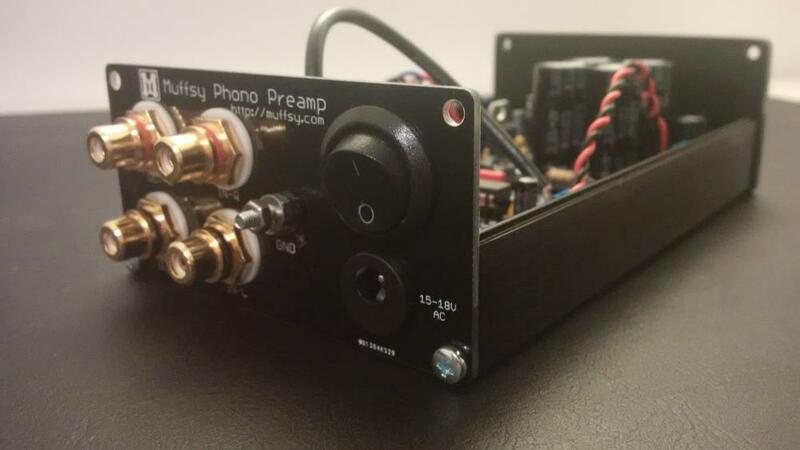 You can pretty much build the Muffsy Phono Preamp into any enclosure you can imagine. These instructions will not cover all possibilities though. 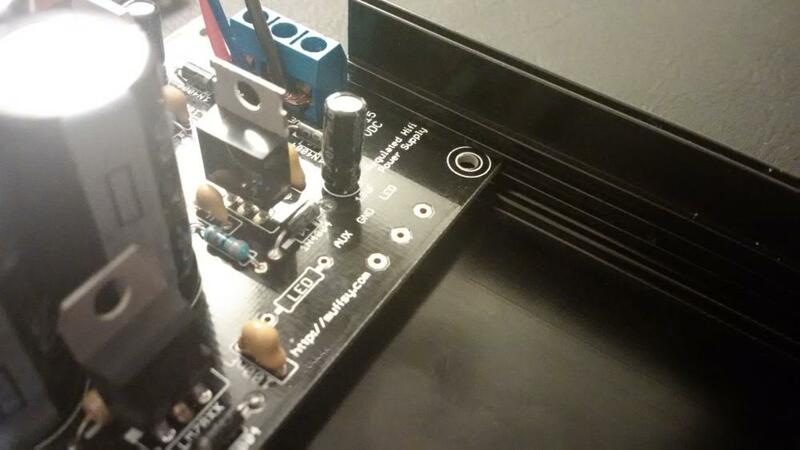 The Muffsy Phono Preamp is designed to fit in a B0905 aluminum enclosure. Together with the Muffsy Power Supply and the Back Panel, you can build the complete phono stage with no drilling or modifications whatsoever. 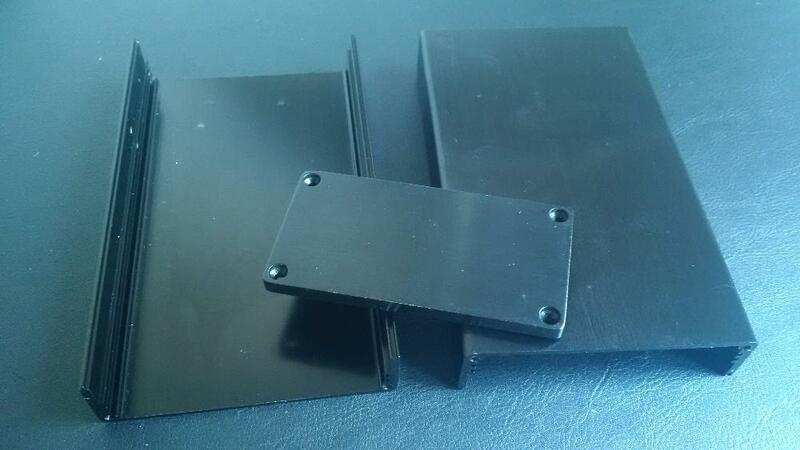 The nice thing about this enclosure is that it has grooves on each side for mounting PCBs, and both the Muffsy Phono Preamp and the Muffsy Power Supply slide right into them. No need for drilling or special mounting. I have prepared the phono stage, power supply, the back panel and wired both the audio and power (click on the links for instructions). 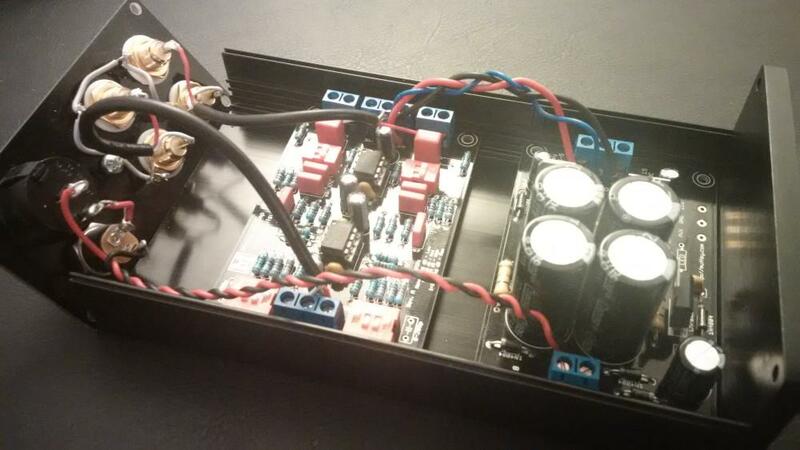 The Complete Muffsy Phono Preamp is Ready! 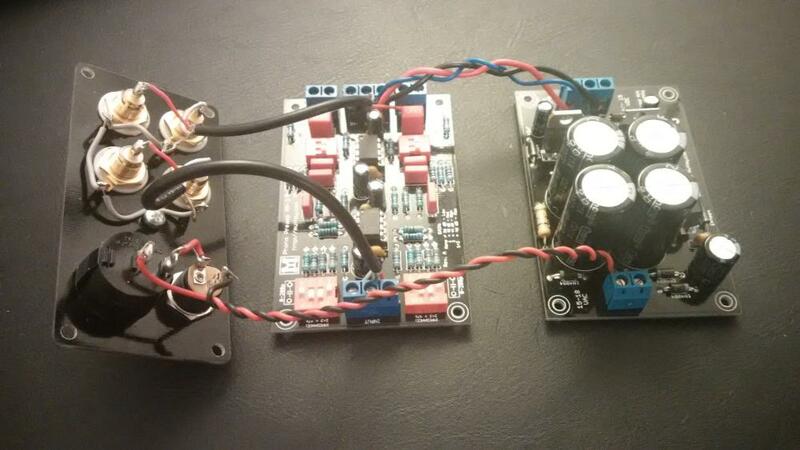 The complete Muffsy Phono Preamp!